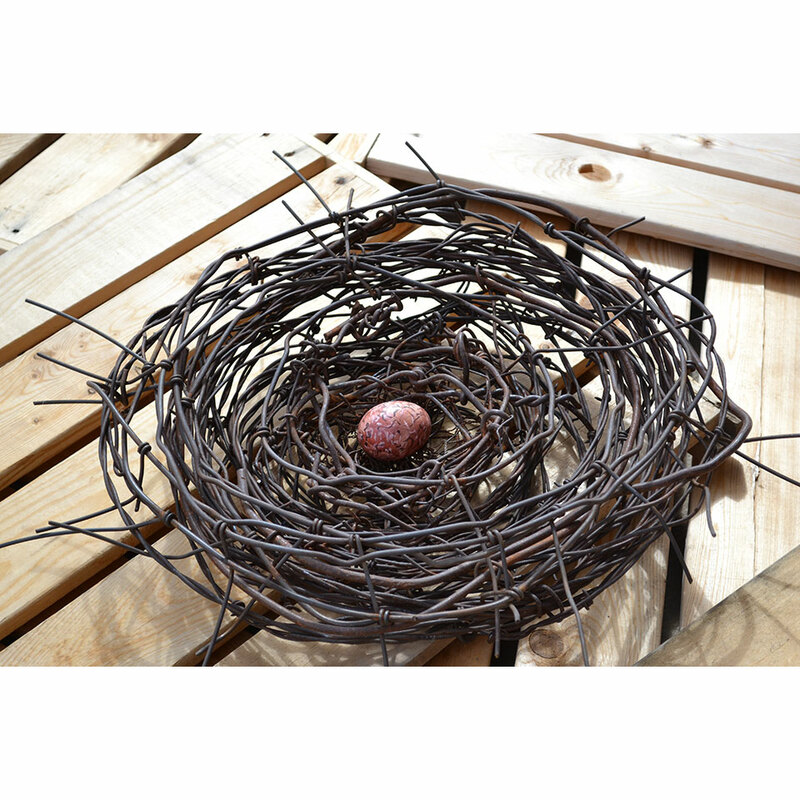 Phillip Lichtenhan, (born Tucson 1952) has developed a fascinating series of bird nests. 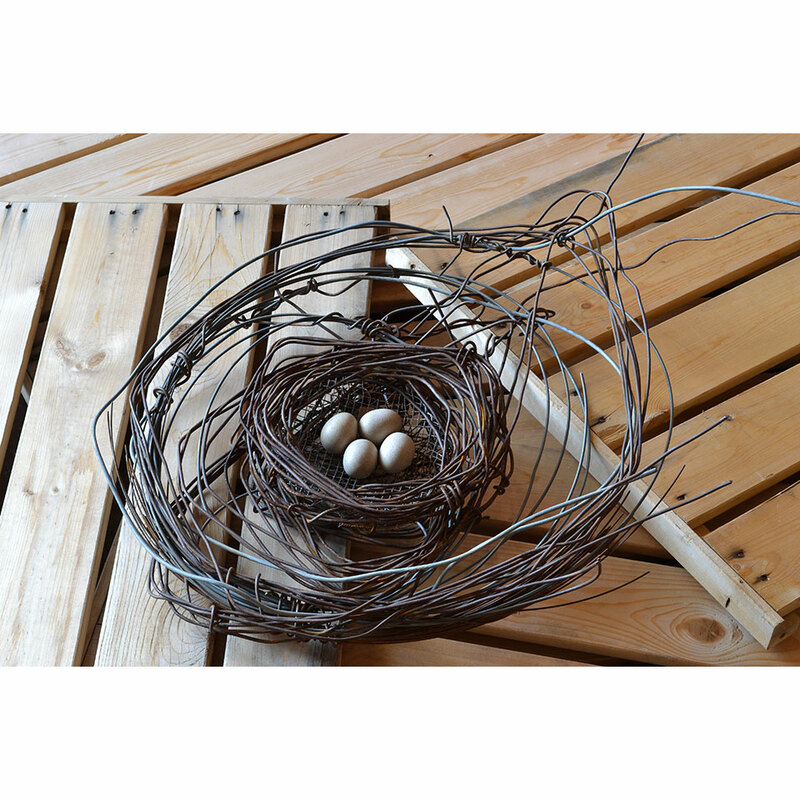 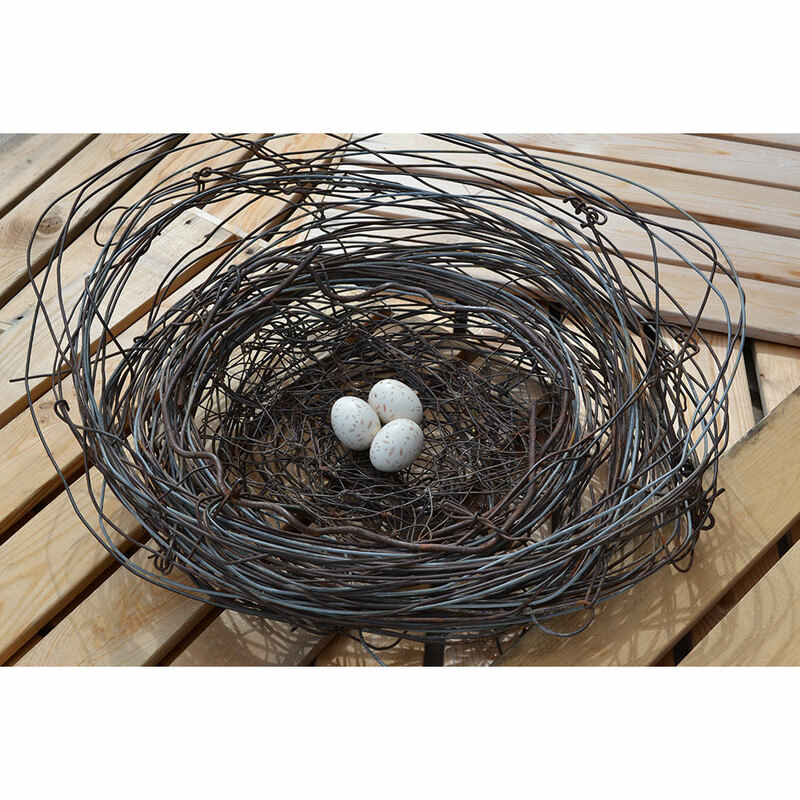 Made of found steel wire and objects with pristine ceramic eggs the nests are a serene and powerful metaphor of life. 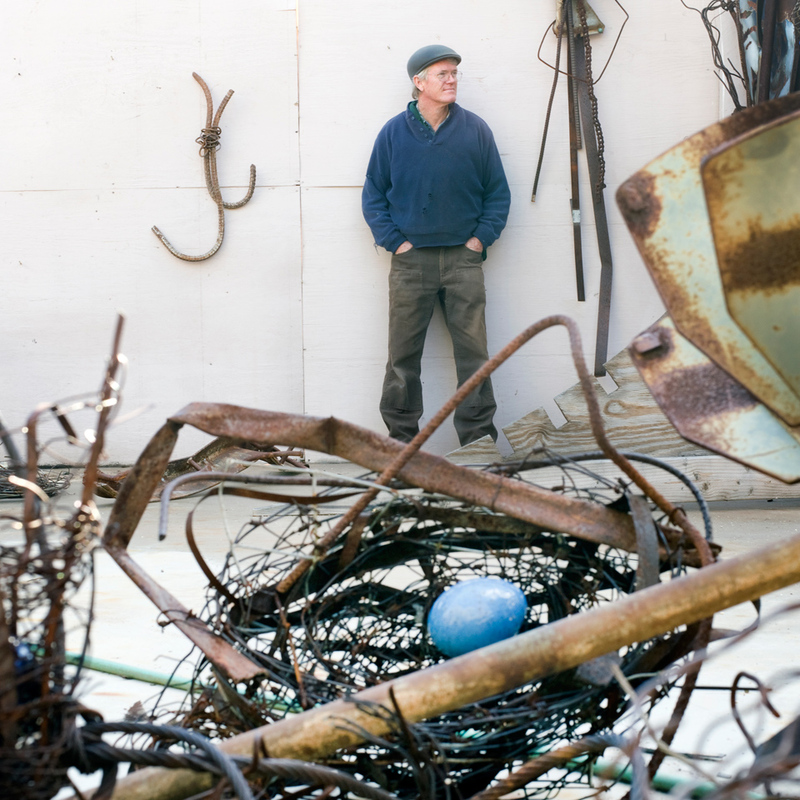 Lichtenhans’ work has been shown in solo and group exhibitions throughout the years, most recently at the Michelson Museum of Art in Marshall Texas, the Dallas Theater Center, the Shemer Art Center and Museum in Phoenix Arizona, and Dinnerware Contemporary in Tucson, Arizona. 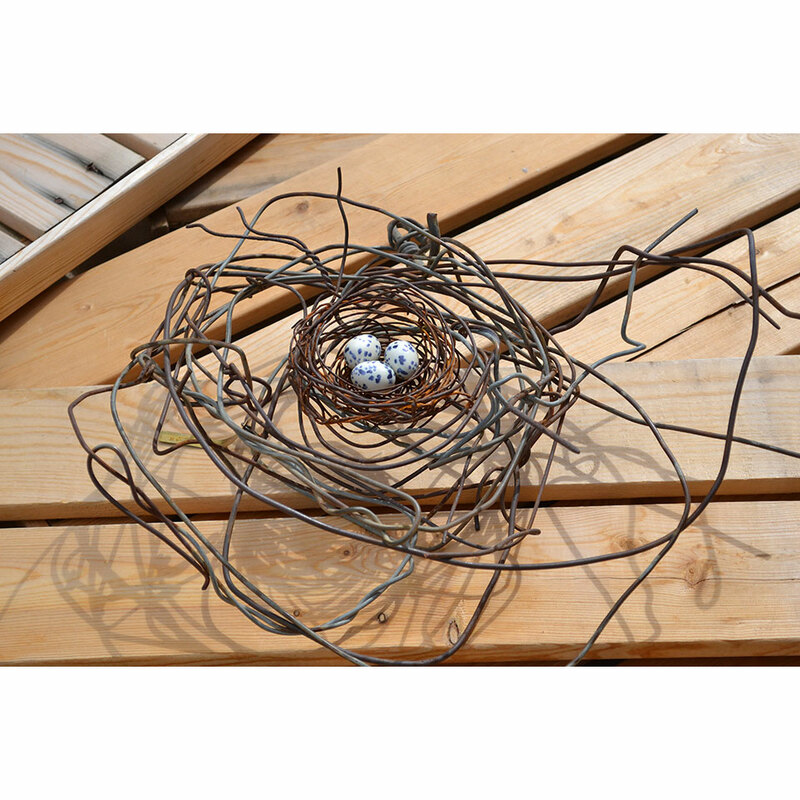 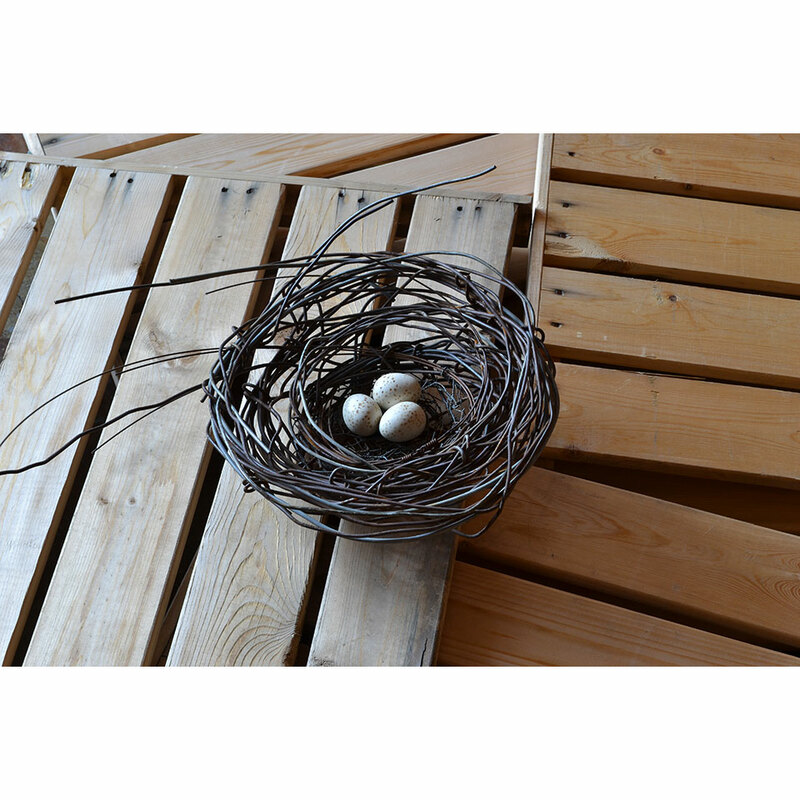 I have taken to the form of the bird nest and made it my own by using found weathered industrial materials to weave the nest. 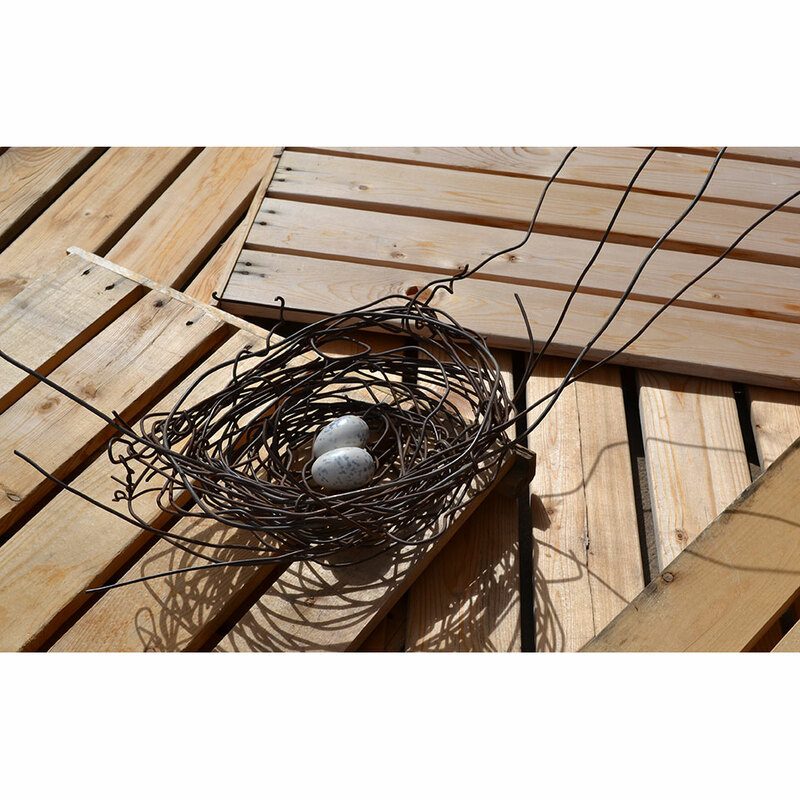 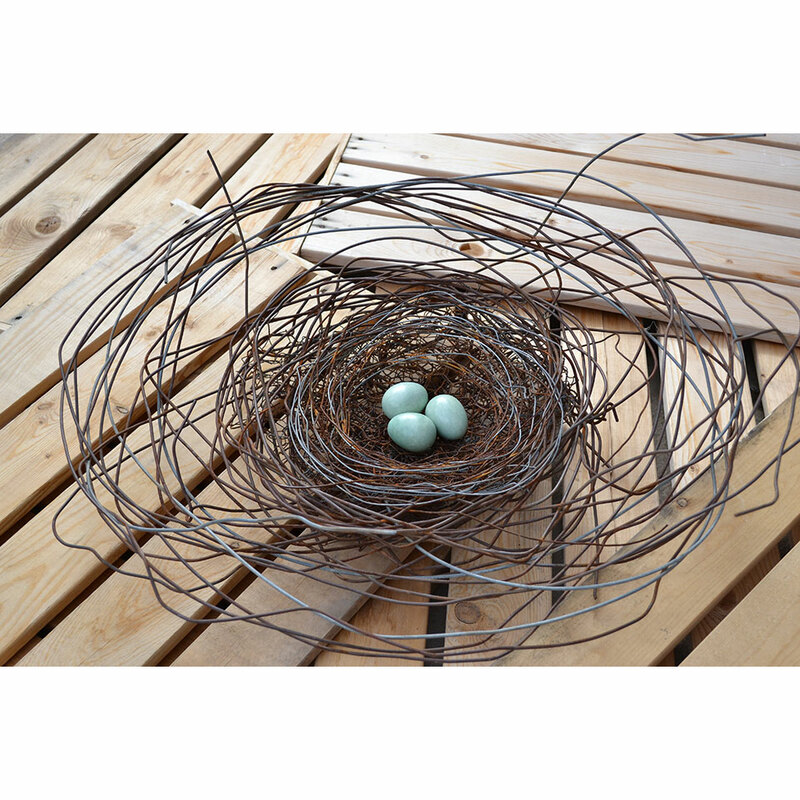 I construct the nests with wire, barbed wire, steel banding material and found objects, creating nests that are sometimes quite like bird nests in look and scale and other nests that are larger and more mysterious. 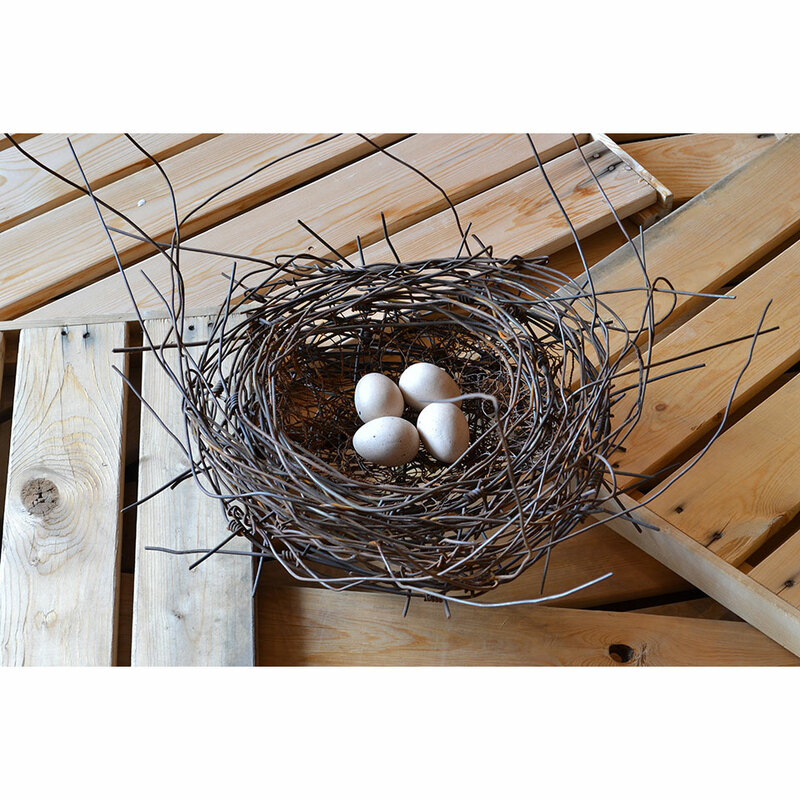 The eggs are made of clay. 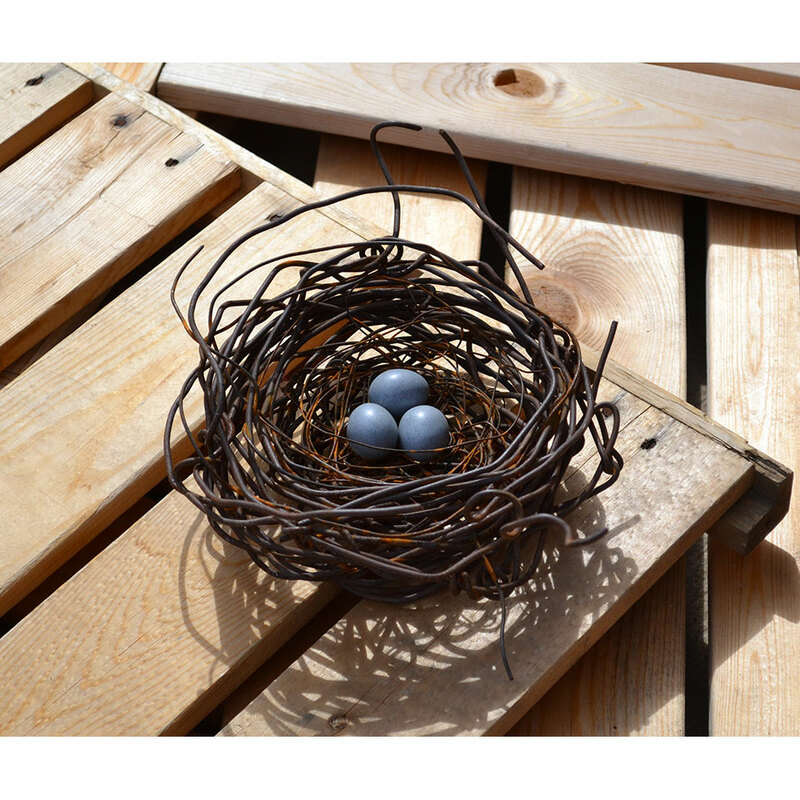 I glaze or paint them a variety of ways producing natural and unnatural colors and finishes. 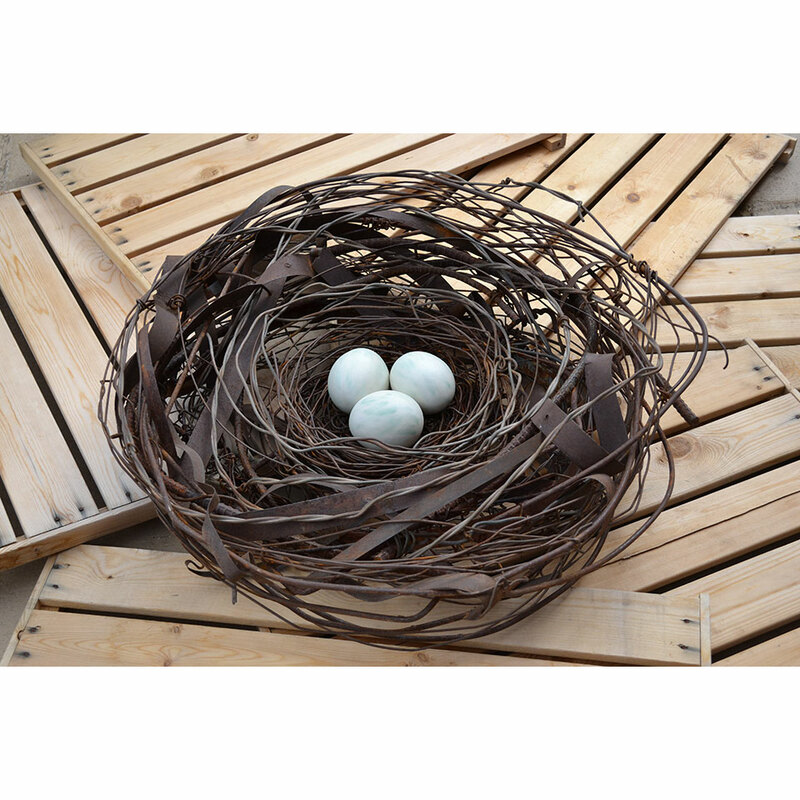 The eggs are made of high fire stoneware and glazed with high fire glazes or hand painted with high quality acrylics. 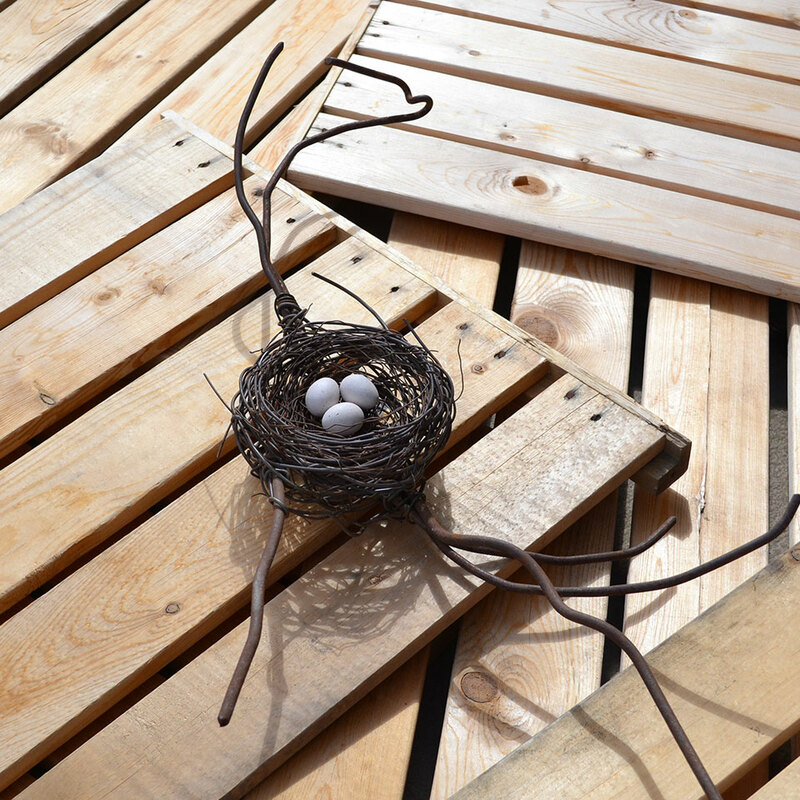 If the eggs are glazed then they could be displayed outdoors and retain their finish and color virtually forever.